T-1.I.6 Miracles are natural. When they do not occur something has gone wrong. Kenneth Wapnick writes in his commentary on the 50 miracle principles about the sixth principle, "The course teaches us that the most natural thing in this world is to be at peace and one with God, because peace comes from the Holy Spirit within us." p. 32 It is our egos which obstruct and block our awareness of Love's presence. In other words one person is not holier than an other. 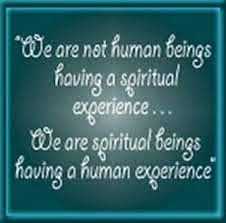 As the Universalists have taught us we all are unconditionally loved by God, the Spirit of Life. Some people have erected more impediments to the awareness of Love's presence or they have not purified their lives of these impediments so their awareness is dim. Jesus was a master as have the other enlightened people who have walked and walk this earth. Enlightenment means to become aware of Love's presence and to have removed or overcome all the impediments to this awareness. 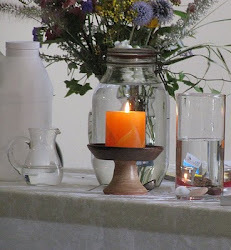 In the Unitarian Universalist tradition we have covenanted together to affirm and promote the acceptance of one another and encouragement to spiritual growth in our congregations and I like to add, and the world. How do we do that - encourage spiritual growth? According to this principle of ACIM, the awareness of Love's presence is natural and when we lose this awareness something has gone wrong. And what is it that has gone wrong? It is the ascension of our egos, our sense of specialness, our separation from God and the Body of Christ, the communion of saints, the peace and oneness with God. Universalism teaches that we are all are one and yet in our daily lives we forget. God, I imagine, laughs at us because we behave and think so stupidly. God laughingly says to us, "Don't believe everything you think because it is your ego that is playing tricks on you and makes you believe in things which in the last analysis are no real threat to you at all. Once you have become aware of this you will experience my peace."